Quality with tradition from Northern Germany: For more than 130 years, the name Jahncke has represented innovations in the fruit processing industry. 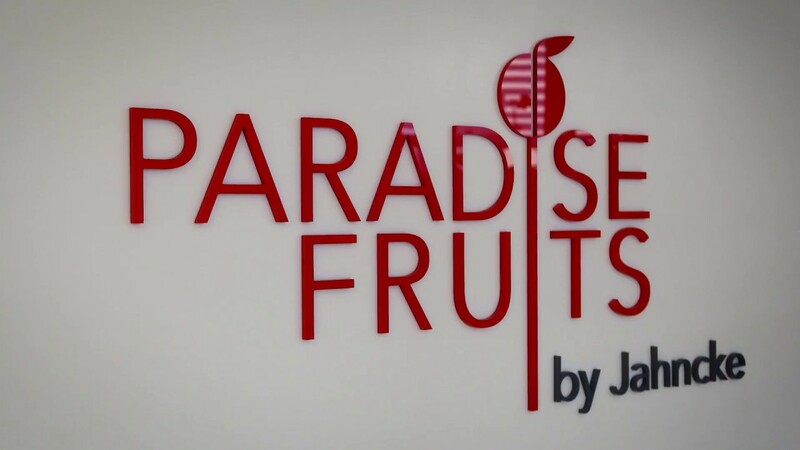 The Paradise Fruits Group's secret of success is to implement trend-setting visions whilst using proven processes. Young - dynamic - Freeze Dried: Paradiesfrucht GmbH has evolved into one of the world's leading specialists in freeze-drying, with state-of-the-art technology and up to 100% pure fruit flavour. The company also offers its customers contract drying options. Chlodnia Lukow SP. z o. o. 's fruits of European origin are individually quick frozen (IQF) at the perfect ripening point .The company's extensive product portfolio is ideal for jams and preserves, fruit fillings and toppings, as well as yoghurt, pastries and freeze-drying. With herbs, spices, vegetables and other culinary specialities from all over the World, Garden is the perfect complement to the sweet product range of its Paradise Fruits sister Freeze Dried. The Company also focuses on top quality contract drying and the development of new products. Experts in ingredients with a high fruit content: Solutions creates and produces innovative, high-quality granulates, pastes, shapes and drops. When developing tailor-made solutions for unique products, an intensive dialogue with the customer is essential.